Going solo is an interesting concept and one that is gaining more popularity during these tough economic times when law firm hires are down. 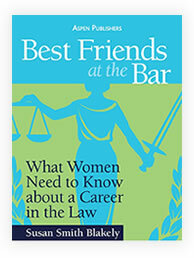 A new book has just been published by the American Bar Association addressing the issue after a three-year study by the ABA Commission on Women. 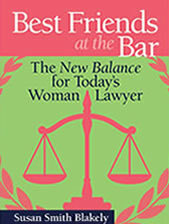 The book is based on letters written by women lawyers addressing their experiencing in launching their own firms. According to a recent description on the ABA web site, the reasons for women going solo have nothing to do with work-life and family pressure. That seems to make sense because a solo practice can’t be any less demanding than a firm practice—at least not in the formative years. Rather, the reasons most often cited are control, ambition, success and challenge. Write your own obituary early. Then live up to it. There is good news for women in academia. The National Law Journal reported in its May 26, 2011 edition that women account for about 40% of the deans named to law schools in the recent months. According to Ann Bartow, a professor at Pace Law School and an administrator of the Feminist Law Professors blog, some law schools in the 1990’s had no women on their faculties at all. So, twenty years later, we have come a long way, baby! The importance of this development is in the message that it sends not only at law schools but in the legal community at large. 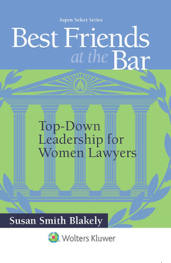 It is clear from these numbers that women have as much a place in the legal world as men and that they finally are being recognized for their proper roles in teaching and influencing both women and men, alike, to be good lawyers. Women on the faculties of law schools should increase the sensitivity to women’s practice issues at those institutions, and we can hope that will carry over to an increase in women’s programs and issues forums. But, “hope” is the operative word, and here is why. “Pro Bono” is what makes lawyers better people. Do not forget it! Learn something new every day. Tomorrow should never be a replay of today. I am feeling a bit frivolous today, so I think I will get on the bandwagon and discuss Peep-Toe Pumps. What is the issue you wonder—-about Peep-Toe Pumps? To ask that is to acknowledge that you skipped the summer of 2010 when law bloggers, including Viva Chen of The Careerist and David Lat of Above the Law, took shots at deciding whether Peep-Toe Pumps were appropriate for the office. In the end, all seemed to agree that this particular foot gear was appropriate, although, by the time that consensus was reached, it is questionable whether anyone cared. Women are great relationship builders. Turn that natural talent into networking and generate new work for your firm. The sky it the limit! I have read much about this book TORN: True Stories of Kids, Careers and the Conflict of Modern Motherhood over the past few weeks. The book includes an essay by Dr. Karen Sibert that challenges the concept of work-life balance and the compromise that is sometimes necessary—although Dr. Sibert would contend that it is neither necessary nor appropriate in the medical world. 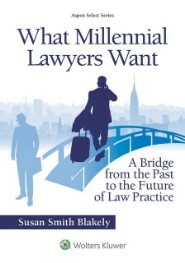 The analogy to the work-life struggle in the legal profession is just too close, so I call this book and Dr. Sibert’s essay to your attention. However, calling it to your attention is not the same as endorsing it, as you will see. It should not surprise you that Dr. Sibert’s opinions have been highly criticized. In short, her detractors think that she has it backwards, and I quite agree. She misses the point entirely. She is so caught up in the way things have been handled in the workplace for generations that she is overlooking an opportunity for change that does not have to be a threat to medicine or the public. As one commentor put it, “The problem is not that workers–mostly women at at this point—are demanding too much, but rather that professions are archaically structured. Also, that the push for change still comes mostly from women. The answer is neither to shut up, nor to buck up. The answer is to recalibrate the hours and expectations of professions so that they can be done by the “new worker”—not a man with a wife at home (which is the assumption of the old structures) but rather a mother or a father with a working partner and responsibilities at home…Where Dr. Sibert sees slacking, I see a new norm. One that requires fewer hours of more workers, perhaps. One that should be embraced by men and women.” Hear, hear. This topic was discussed at length on the Motherlode Book Club parenting blog in the NY Times. One contributor to the blog hit is on the head. She pointed out that intolerance toward women who are comfortable scaling back their ambition for a period of time in order to achieve balance does a real disservice to women and undermines women supporting women—-a pet theme of mine, as you know. This contributor concludes, “All professions have people like Dr. Sibert who feel that women can only be successful on men’s terms [and] I sincerely hope that my 17-year-old daughter finds better role models in whatever career she chooses.” Again, I hear myself telling young women lawyers to have a personal definition of success and not to be confined by the definitions of success that have been developed by predominately male practitioners. Another contributor, a female doctor, states, “The movement of more women working and more women choosing to work part-time so that they have additional time for their families is not a failure of the women’s movement but an evolution that is both necessary for society and at its core, entirely about being a woman.” She, like me, wonders whether Dr. Sibert would consider the possibility that the traditional practice of working at a profession around the clock is just old-fashioned. The proof of that seems to be that men, not just women, are seeking more flexibility to spend additional time at home and with family and that looking for that kind of balance does not have to mean a lack of commitment to a profession. She even dares to suggest that having balance in your life can make you a better professional. Imagine that! And, she concludes by suggesting that wanting and needing to be with family is the ultimate feminist movement. These comments are music to my ears, as you can imagine, and I play that music here for you. Memorize the notes and remember the musical themes so that it will be an old favorite when your time comes.